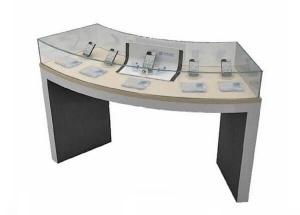 This laptop showcases are pre-assembled and are made with tempered glass and MDF. 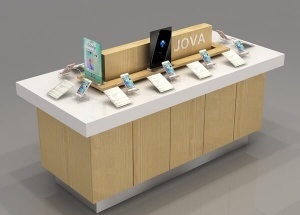 We offers standard laminate baking paint and wooden veneer finishes this computer showcase, and we can also customize finishes to your specification. 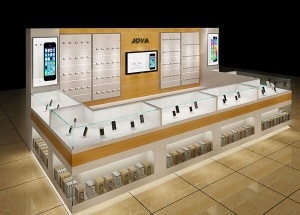 This mobile shop interior design was made for a USA project. 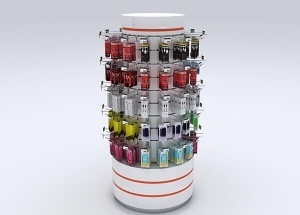 The mobile shop display are mainly white baking paint finished. 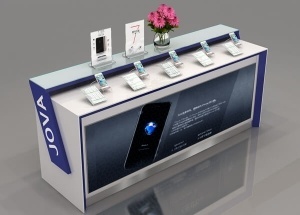 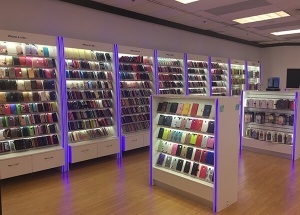 We are phone display showcase manufacturers from China, offer free cell phone shop design, and manufacturing the shop furniture. 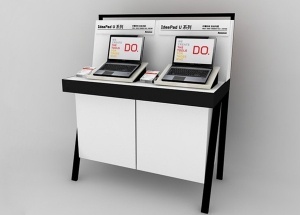 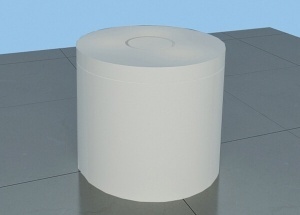 This white round phone display table is used as a kiosk display. 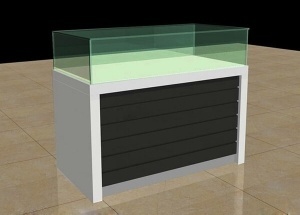 It's a experience display table for digital shop.It'is made by wooden(MDF), glossy white baking paint.